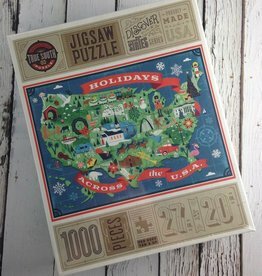 Super cool puzzle of the USA at the Holidays. Finished size is 20” x 27”. 1000 pieces.